British duo Upstairs Open blend darkness with light in their new single “Silence,” a brutally raw but sonically rich song of sacrifice, settling, and surrender. How far are you willing to “fake it” until you “make it”? To what lengths are you willing to go for happiness, love, or stability? Will you marry someone despite not reciprocating their feelings? Will you settle for a life you didn’t want, in exchange for opportunities you’d otherwise never have? How much will you sacrifice to “live in a lie“? Upstairs Open blend darkness with light in their new single “Silence,” a brutally raw but sonically rich song of sacrifice, settling, and surrender. Atwood Magazine is proud to be premiering “Silence,” the third single from emerging indie pop band Upstairs Open. The London-based duo of Courtney Paynter and Daniel James, Upstairs Open debuted late last year with an “You Got Love,” an expansive love song full of space, soulful harmonies and heavy feeling. 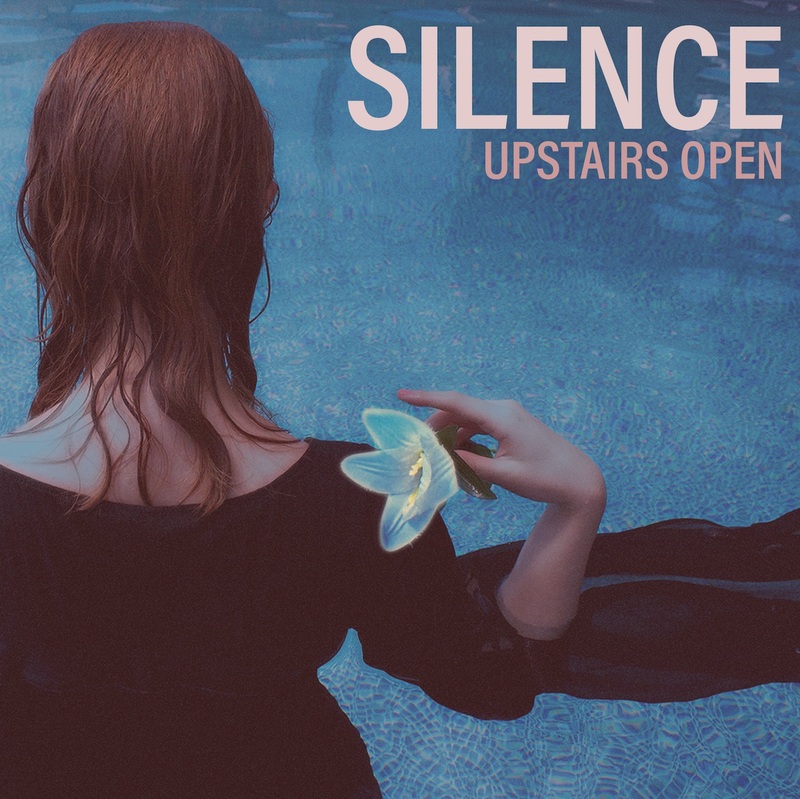 Whereas their sophomore single “Chicago” leaned further into this heavy feeling and derived its (literal) emotional weight from such musical contrasts, “Silence” represents Upstairs Open’s first take at a catchy, feelgood pop song. Upstairs Open overwhelmingly succeeded in their endeavor to juxtapose dark emotion with lighter sounds. The band’s first work with producer Matt Allchin (George Ezra, Florence & the Machine) and mixer Tim Bran (London Grammar, Birdy, Primal Scream) grows steadily brighter and brighter, thanks in large part to the increasing strength of the keyboards and acoustic guitar, whose glowing pulses continuously push the track forward. “We wanted to create and energetic track just in time for late summer,” the duo explains. The up-and-down bounce of their six-string’s strums is utterly mesmerizing; without listening to the lyrics, one can easily bask in a cheery soundscape. Should you choose to fully ingest Paynter and James’ words, “Silence” might very well have the opposite effect and bring you to tears. This vulnerable cry for understanding and familiarity comes from a dark, raw place deep inside – where no one but you knows the truth of a situation. You’re all alone in convincing yourself that “it’s alright if you wanna live in a lie;” that you can hide the real you in silence – the pregnant pauses and long breaths in-between. That kind of heartwrenching, brutal honesty is enough to take anyone down a few pegs. Upstairs Open have outdone themselves in “Silence,” affirming their place as a promising artist to watch through a humblingly raw presentation of human nature: “Silence” holds the mirror up to us, asking if we’d rather pretend, or be alone. Not many artists bother diving so deep into the psyche this early on in their career, but as we’re quickly learning, Upstairs Open are not like other artists: They’re happy to bring light to dark places, exploring the complex reality of our beautiful, harrowing world. Stream “Silence” exclusively on Atwood Magazine ahead of its worldwide release 8/30/2018!